Richard II, also known as Richard of Bordeaux, was King of England from 1377 until he was deposed in 1399. Richard's father, Edward the Black Prince, died in 1376, leaving Richard as heir apparent to King Edward III. 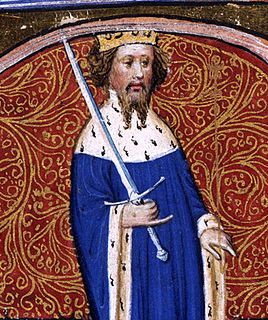 Upon the death of his grandfather Edward III, the 10-year-old Richard succeeded to the throne. 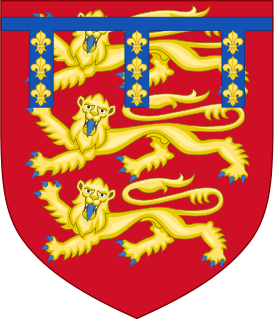 Edward of Norwich, 2nd Duke of York,, was an English nobleman and magnate, the eldest son of Edmund of Langley, 1st Duke of York, and a grandson of King Edward III of England. 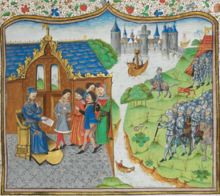 He held significant appointments during the reigns of Richard II, Henry IV, and Henry V, and is also known for his translation of the hunting treatise The Master of Game. 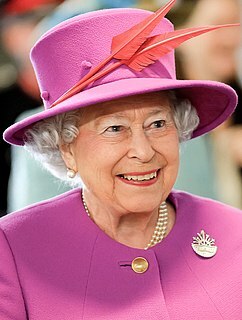 He was slain at the Battle of Agincourt, one of the principal military engagements of the Hundred Years' War against France, in 1415. 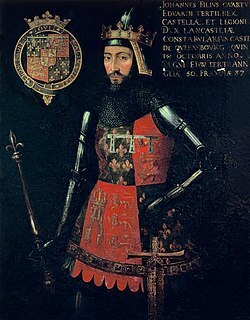 Richard of Conisburgh, 3rd Earl of Cambridge was the second son of Edmund of Langley, 1st Duke of York, and Isabella of Castile. He was beheaded for his part in the Southampton Plot, a conspiracy against King Henry V. He was the father of Richard Plantagenet, 3rd Duke of York, and the grandfather of King Edward IV and King Richard III. Thomas le Despenser, 1st Earl of Gloucester KG was the son of Edward le Despenser, 1st Baron le Despencer, whom he succeeded in 1375.